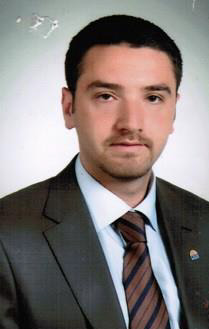 Kadir Erol is presently working as assistant professor in Property Protection and Safety-Hitit University.He pursued his Ph.D. in Chemistry/Biochemistry from Hacettepe University.He has many publications in international scientific journals with high impact factor. 1. Köse, K., Erol, K., Köse, D. A., AvcÄ±, E., Uzun, L. Affinity Purification Lipase from Wheat Germ Comparison of hydrophobic and metal chelation effect. Artificial Cells, Nanomedicine, and Biotechnology, in press. 2. Erol, K., Köse, K., Köse, D.A., SÄ±zÄ±r, Ü., Tosun SatÄ±r, Ä°., Uzun, L. (2015). Adsorption of Victo Blue R (VBR) Dye on Magnetic Microparticles Containing Fe(II)-Co(II) Double Salt. Desalination Water And Treatment, 57, 9307-9317. 3. Köse, K., Erol, K., Emniyet, A. A., Köse, D. A., Alp AvcÄ±, G., Uzun, L. (2015). Fe(II)-Co(II) doublesalt incorporated magnetic hydrophobic microparticles for invertase adsorption. Applied Biochemistry and Biotechnology, 177, 1025-1039..
4. Erol, K., Köse, K., Köse, D. A., Alp AvcÄ±, G., Uzun, L. (2014). Separation and Purification Lipase using Cu nanoparticle embedded poly(HEMA-MATrp) Cryogels. Hittite Journal of Science and Engineering, 1, 43-50..
5. Erol, K., Gençer, N., Arslan M., Arslan, O. (2013). Purification, characterization, and investigati of in vitro inhibition by metals of paraoxonase from different sheep breeds. Artificial Cells, Bloods Substitutes and Biotechnology, 41, 125-130..
6. Erol, K. (2016). DNA Adsorption via Co(II) Immobilized Cryogels. Journal of Macromolecular Science- Pure and Applied Chemistry. Accepted Manuscript.